Laura Avila was raised in Bakersfield, but attended California State University, Fresno, earning a BS in Real Estate and Urban Land Economics. 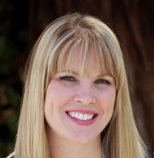 After graduation, she returned to Bakersfield, where she is currently a Chief Appraiser for the Kern County Assessor’s Office, managing all commercial, industrial, agricultural, and residential property appraisers for Kern County. Laura and her loving and supportive husband of 16 years, Phillip, have three children, ages three to ten. Raised in a family with seven children, she has been involved with helping and supporting children her whole life. She helped form Brigade Recreational Youth Soccer League, now in its 12th season. She currently sits on the Executive Board as treasurer, and also coaches. When her children began attending Downtown Elementary, she became involved, and is now on the Executive Board of the school PTA. She was PTA president for two years and is currently Vice President of Membership. As long as he can remember, Clayton Fowler has always wanted to give back and help his community. This mentality drove him to study and hopefully become a firefighter after graduating from high school. At Bakersfield College, he studied Fire Technology and completed and obtained an EMT license. However, after joining his student government association, taking political science courses, and getting involved in local elections, Clayton decided to change his major to Political Science. He felt that changing his major and possible career goals would allow him to assist better and give back to his community in a broader capacity. This passion followed Clayton to the University of California, Davis, where he earned a BA in Political Science-Public Service and minored in Communication. Clayton has worked on a congressional campaign, interned on a county campaign, the California State Assembly, the US Congress in House Leadership, and for a California political consulting firm. Currently, Clayton works for Assemblyman Vince Fong as a Field Representative. In this role, he assists constituents with casework, along with attending events with constituents and community stakeholders. Clayton is excited to have returned home and looks forward to working to improve the lives of the residents of Kern County. Chad Garcia has been a resident of Bakersfield and Kern County since his parents moved the family from the Los Angeles area in 1990. Chad is a proud graduate of Stockdale High School (2000) and proudly served in the US Army Airborne Infantry for thirteen years (2001-2014). 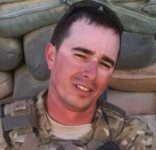 He was medically retired due to combat injuries sustained in Afghanistan and has dedicated his post-military life to advocating for veteran issues and suicide prevention. Chad’s service to our country has rewarded him with core values and life experiences which he carries everywhere he goes. He enlisted in the Army as a follower and was honorably discharged as a leader. Chad has been happily married to his wife, Lybia, for twelve years. They have three children: Skylar (18), Anakin (3), and Thorin (1). He recently celebrated being alcohol-free for three years. Chad’s family is what keeps him always striving to become a better man and leader. Midge Boydstun Jimerson was born and raised in Bakersfield California. Earning her real estate license in 1993, Midge joined Boydstun Realty Co., Inc. to work with her father John Boydstun. She currently serves as the Broker, President and co-owner of Boydstun Realty, a family owned and locally operated real estate company. Midge is the current past President of the Bakersfield Association of REALTORS®. Midge is an active volunteer in Kern Kiwanis, Downtown Business Association, Bakersfield Association of REALTORS®, California Association of REALTORS®, Kern Community Foundation, and serves as an elder at Northminster Presbyterian Church. Having lived in Bakersfield and Kern County all her life, she has seen the growth and the challenges the city and county have faced. She is excited to look to the future as to how she can contribute to the betterment of both! Audrey A. Johnson earned her Bachelor of Paralegal Studies with a minor in English from the University of Mississippi in 2010. As a public service professional, Audrey was employed with Kern County Superior Court for her first three years as a California resident. She now serves as the Accreditation Board for Engineering and Technology (ABET) Coordinator for California State University, Bakersfield. Audrey recently graduated from CSUB on May 17, 2018 with a Master’s in Public Administration and a certification in Non-Profit Management. Her primary goal is to identify factors that influence public support for policies that advance adolescent health prevention, leadership and personality development programs for young women, and mentorship support programs. Audrey’s objective is to help create leaders who will proudly serve Kern County through education, mentorship, and collaborations. Her interest and advocacy for women rights and female leadership have led her to some volunteer opportunities within the community. Allie Mae Perkins is a proud Bakersfield native and Alumni of California State University of Fresno. Obtaining a BA in Business Entrepreneurship. She received a second degree at the Art Institute of California – Hollywood, in Apparel Fashion Design. Allie lived in Los Angeles designing apparel for large design companies and celebrity labels. With extensive experience in the beauty and fashion industry, Allie has started her very own business back home in Bakersfield called The Beautiful Life. The Beautiful Life is the proud recipient of the 2016 Women-Owned Small Business of the Year Award. The company has been featured in local and national publications along with a nationally televised commercial for UEI’s National Marketing Campaign. The Beautiful Life is committed to elevating the confidence and self-appreciation of extraordinary women. Allie serves on the board of Bakersfield Boss Ladies as Vice President and is a member of many local groups supporting the growth of women entrepreneurs. Antonio T. Reyes, RN, MSN, MHA, CEN, NE-BC, known to most as “Tony” is the Director of Nursing for Adventist Health Bakersfield Emergency Department, Nursing Supervisors, and Transfer Center. Additionally, Tony served as the interim Patient Care Executive for Adventist Health Bakersfield. In September 2017, Tony joined Adventist Health Bakersfield bringing more than 20 years of nursing experience in a variety of roles. Previously Tony held nursing leadership roles with hospitals in Orange County, Los Angeles County, and San Bernardino County. 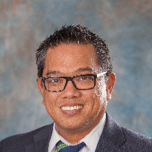 Before joining Adventist Health Bakersfield, Tony was the Director of Nursing for Universal Health Services Centennial Hills Hospital Medical Center in Las Vegas, Nevada. Tony received a Doctor of Medicine degree from Angeles University Foundation, Philippines, a Master Degree in Nursing from University of Phoenix, and a Master Degree in Health Administration from University of La Verne. Tony holds a dual professional certification in Emergency Nursing and Nurse Executive respectively. Tony is an active member of the Association of California Nurse Leaders and the Emergency Nurses Association where he holds a lifetime membership. Kaitlyn Yates, known as Bucky by most, is currently the Community Program Manager for The Wonderful Company’s philanthropy team. Her background in nonprofit management along with her M.Sc. International Agriculture Development from U.C. Davis have uniquely positioned her to work California’s San Joaquin Valley, managing a significant community grants program in the rural agriculture communities of Avenal, Wasco, McFarland, Delano, Sanger, and Del Rey. A student athlete on the NCAA ranked Wheaton Women’s Soccer team, Kaitlyn has taken her grit, discipline, leadership and teamwork on the field and applied it to her work throughout the world as she has sought to empower the local capacity of rural non-profits. To further enhance her assets, Kaitlyn is currently pursuing a Project Management certificate through UC Berkeley and PMI. Kaitlyn was raised in Sonoma County, CA where she attended a bilingual Spanish immersion school which created the foundation for her career in development and working with Spanish speaking communities. Kaitlyn and her husband live in downtown Bakersfield, which they affectionately call Bakerdise.